Hygiene done right can reduce sick leave, impress visitors and boost your employee or tenant morale. With the increase in shared workspaces and social-based office landscapes that encourage collaboration, good hygiene is becoming even more important. We provide a wide range of expertise and hygiene solutions for modern offices, making sure that your visitors, employees or tenants – as well as your image – are well taken care of. But what office areas have the biggest impact on your visitors’ image and the wellbeing of your staff? 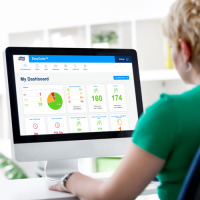 This tool gives you an instant overview of the key hygiene areas at a clean modern office. 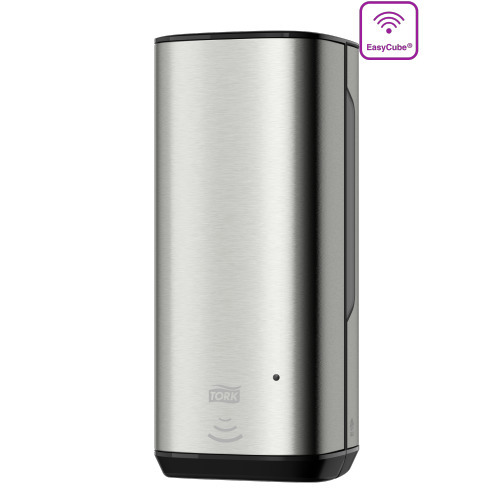 It also features a customized selection of products for each area, together with dispenser placement recommendations and tips for smarter cleaning. The impression of your company starts here. A clean impression lasts. Every visitor, employee or tenant who enters your office receives the first impression about your company from your reception area. It is a high traffic area, with dozens of people passing by continuously. As a result, reception areas can quickly become unclean. To build your image, this area is important to keep fresh, clean and welcoming at all times, while keeping it hygienic to avoid contamination of other office areas as people are passing through. High traffic means receptions areas risk becoming unclean faster than other office areas. If you serve coffee to visitors waiting in the reception area, make sure they can find a napkin dispenser and waste bin close by. 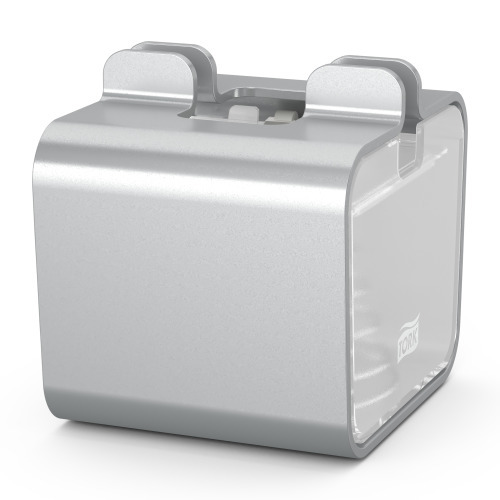 Small dispenser footprint, minimizes the use of table space. Available in an Easy Handling Carry Box. 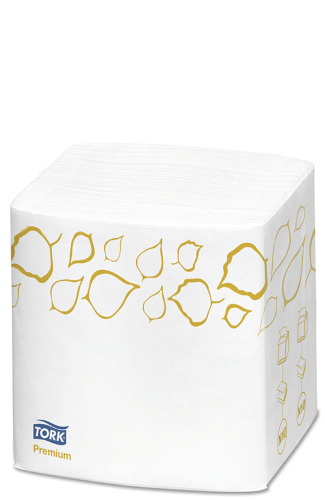 The napkins are decorated with elegant white leaf designs which enhance the quality of the napkin. High traffic can also be an opportunity to improve hygiene. 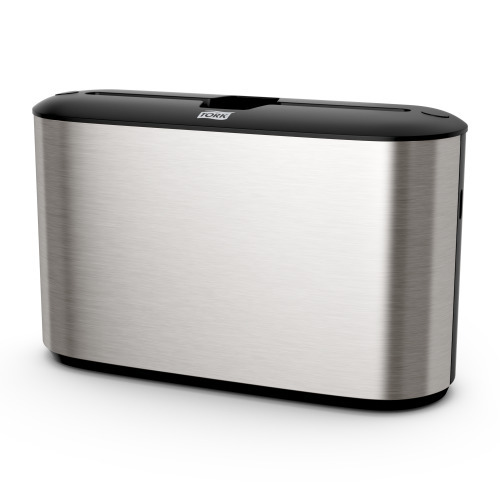 Placing sanitizers here is a great way to support visitors, employees or tenants passing by to keep their hands clean on the go. Unique Pump built with innovative technology to prevent dripping and clogging. High capacity - allows for 2375 doses, providing for portion control and preventing overuse. Refilling done in 3 seconds, conveniently allowing ”load and flow”. NSF E3 Certified for use as a hand sanitizer and ECOLOGO® Certified for reduced environmental impact. Bottle is made from recyclable plastic and fully collapsible to reduce waste 70%, providing environmental benefits and a positive image builder. 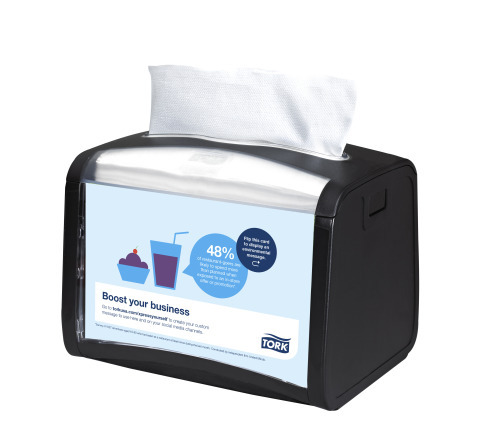 Another simple gesture to make visitors feel more comfortable and improve hygiene is to place a facial tissue box visibly on the reception desk. 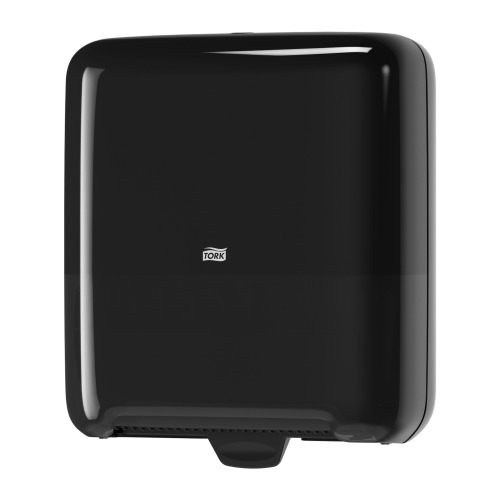 Soft protective poly shield opening protects the tissues and provides easy, one-at-a-time dispensing while reducing lint. Box manufactured from 100% recycled materials, with minimum 35% post-consumer materials, to provide environmental benefits and a positive image builder. Clearly marked waste and recycling bins in the reception area helps reduce clutter from what is being used and carried in the front door, as well as create a great first message of your company’s sustainability initiatives. The reception area is the visitors’ first impression of your business – make sure to pay attention to the visual results of cleaning in this area. Remember to wipe high-touch surfaces (including touch screens and elevator buttons) regularly to maintain hygiene in this busy area. Keep sustainable wiping solutions close by to make cleaning a swift and smooth task. 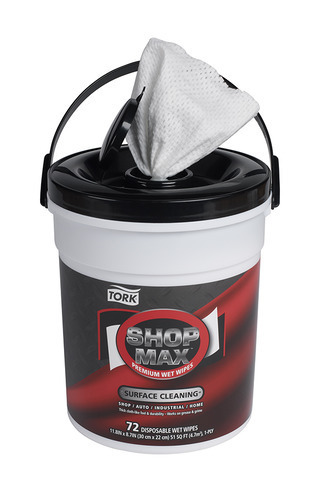 For more tips on improving office health and hygiene, visitor, employee or tenant satisfaction, and green cleaning procedures, click below to download our Tork Cleaning for Health Checklist. Meetings are extremely important for the growth and expansion of a business and should be conducted in a clean, comfortable and well-equipped space. Conference rooms reflect the image of your company – this is where you bring your visitors and where they often spend the most time. And conference rooms need to facilitate a broad spectrum of events. From keynote presentations and business-critical meetings to informal discussions, meals and coffee breaks. 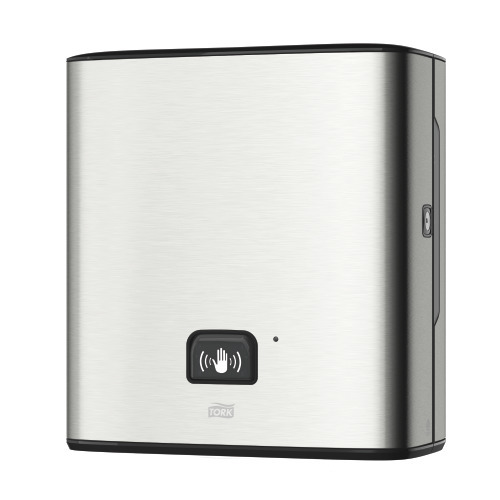 This makes hygiene solutions an essential part of modern conference rooms. Conference rooms are often busy places with lots of people throughout the day. Help reduce the spread of germs by placing a hand sanitizer in this area. 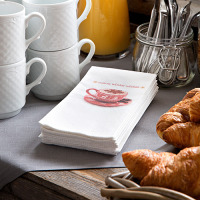 As many meetings include catered meals, coffee, and snacks, supplying a well-designed napkin dispenser is important. 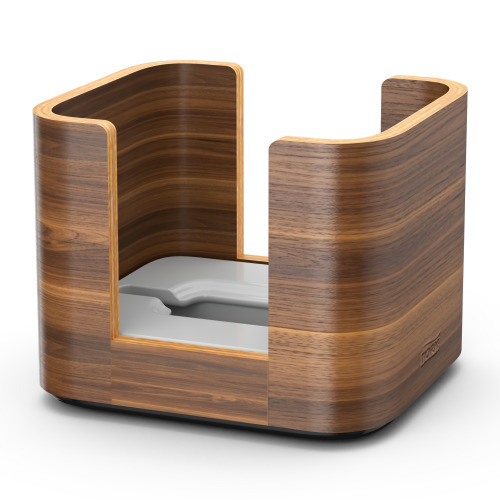 Compact footprint, minimizes the use of table space. 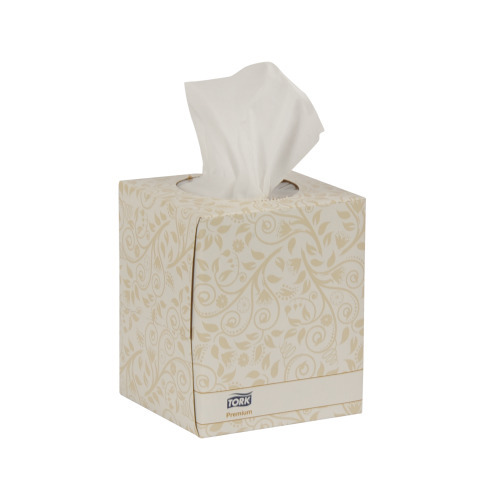 A simple gesture to make visitors feel more comfortable and improve hygiene is to place a facial tissue box in the conference room. Easy access to wiping and cleaning solutions are good in case it would be necessary to freshen up the conference room in between meetings or to tackle any accidental spills. To facilitate various meetings and events throughout the day, waste and recycling bins are also an indispensable part of the maintenance solutions within the conference room. Remember to clean shared high-touch surfaces such as armrests and keyboards. Have a designated space for placing food and refreshments as close to the door as possible as this will make things easier for service staff. Place waste bins so it becomes natural to use them on the way out of the conference room. Have several refill liners for the bins available, and make sure to check and change bin liners quite often to ensure a fresh environment throughout the day. Put up an image showcasing the conference room as you prefer it to look – as inspiration for cleaners and employees to support maintaining that impression. For more tips on improving office health and hygiene, visitor, employee and tenant satisfaction, and green cleaning procedures, click below to download our Tork Cleaning for Health Checklist. The office as we know it is changing. New open office landscapes create new requirements on hygiene. The office landscape is changing from cubicles to social-based areas and open desk policies that encourage collaboration. A study conducted in 2013 show that around 35% of office workers share either desk and/or equipment with both known and unknown people. Out of these, more than 60% claim concern with the hygiene situation at work. * This data puts new requirements on hygiene. For example, employees are required to take more personal responsibility, such as using sanitizers or cleaning the workspace. Do your employees have access to what they need for optimal hygiene? Effortless cleaning and intuitive refilling saves time. Access to waste, shredding and recycling bins are also suitable to place where there are natural flows of traffic within open office landscapes to increase recycling and shredding security compliance. 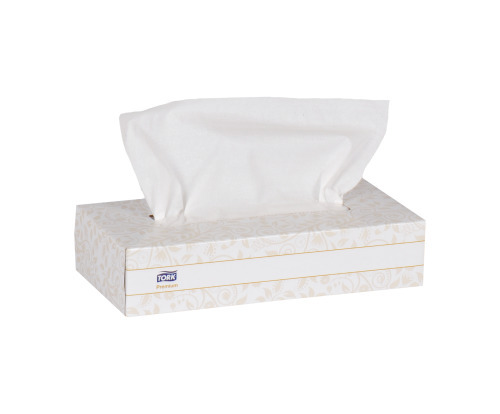 Facial tissues should be available for each individual desk, as well as at gathering areas such as printers and copy machines to ensure comfort and hygiene. Different color indicator sheet shows when the tissue box is nearly empty and reduces outages. If you have an open desk policy it is appreciated to have wiping and cleaning solutions at hand to be able to wipe your workstation clean including areas often known to harbor high levels of germs such as telephones, keyboards and desk tops. With busy schedules, open floor plans and ad hoc lunch meetings, more and more employees are eating at their desks or in central gathering areas. 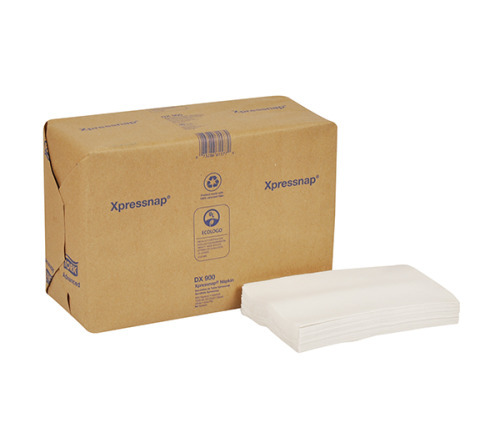 Making napkin dispensers available can reduce trips to the breakroom and catch quick spills. Made from 100% recycled and 20% Post Consumer fibers offers environmental benefits, a positive image builder and is compostable. ECOLOGO® Certified.Compostable Verified by BPI and Independent Verification. In an open-desk office, be sure to clean shared high-touch equipment such as keyboards, computer mice and phones. Clean hands make clean equipment – provide your employees with clean, well-stocked hand washing facilities and with sanitizers if appropriate. In line of sight means in line of thinking – make sure to place hygiene equipment easily visible and accessible where there’s a natural flow of traffic. 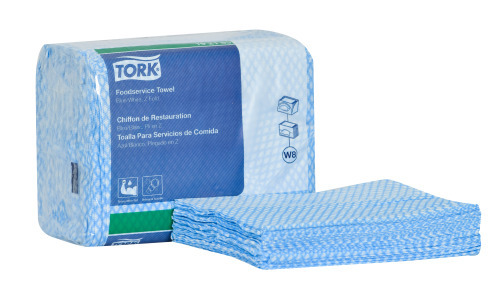 For more tips on improving health and hygiene, tenant and visitor satisfaction, and green cleaning procedures, click below to download our Tork Cleaning for Health Checklist. Restrooms are a necessity, but play a key part in a facility's satisfaction ratings. Consider restrooms as more than the left over space of an office building. They are a valuable part of the facility and contribute to the total experience of your company. If kept neat and clean, visitors are more likely to think the rest of your business is taken good care of as well. 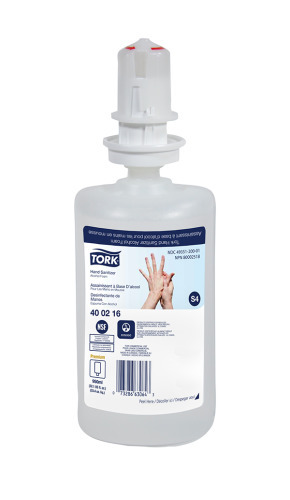 In the Tork Office Trend Report 2016 (link to download) research of over 8000 office workers around the globe, 79% of respondents from New York to Shanghai say they would inform their office or facility manager if they aren’t satisfied with the quality of hygiene products available. 40% of respondents say they have encountered empty soap and paper towel dispensers, and restrooms that haven’t been properly cleaned. High capacity dispensers allow for heavy traffic and less out of stocks and staff time to refill. Sustainable paper sources match a facilities environmental goals. 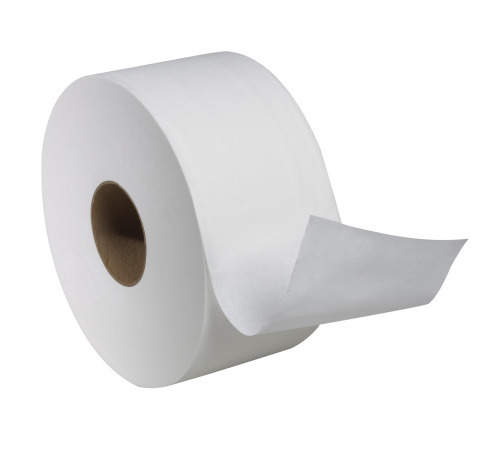 Stub roll feature allows for full roll consumption and eliminates waste. Optimal roll brake prevents free spinning and reduces consumption. 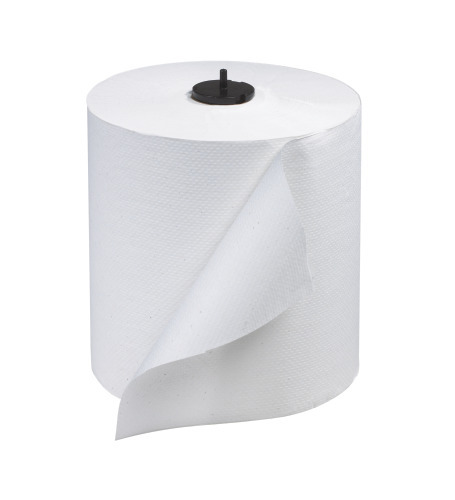 Roll is covered to minimize cross contamination. This bath tissue is perforated for ease of tearing. Fewer cores and no wrappers leads to source reduction and less waste. 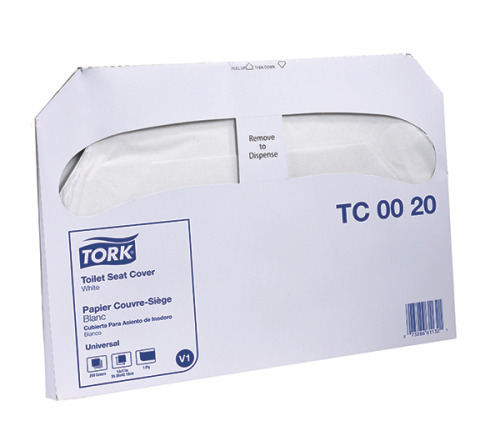 Tork bath tissue has rapid breakup, ideal for all plumbing systems. 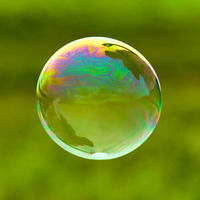 This product contains 20% post-consumer fiber - environmental benefits and positive image builder. EPA Compliant for reduced environmental impact. 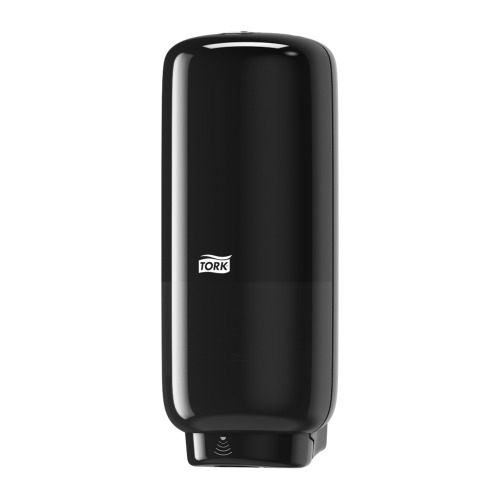 Beyond offering a great hand drying solution, paper towels provide comfort to visitors that may want to wash their face, or wipe up spills on clothing. 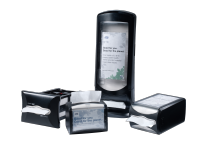 One-at-a-time dispensing increases hygiene, yet reduces usage and waste. Reliable performance and intuitive maintenance gives you peace of mind. One-at-a-time dispensing reduces cost-in-use and waste. If possible, mount the soap dispenser directly above the sink. 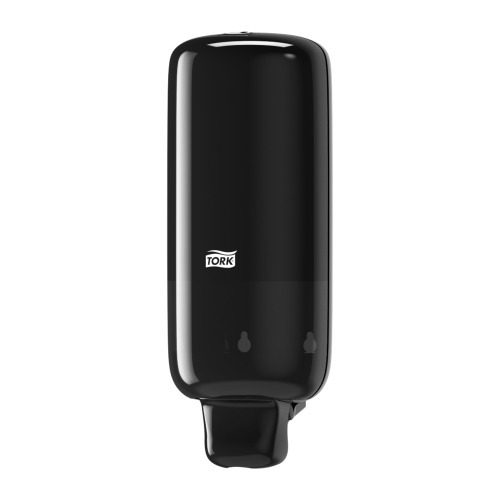 Touch free dispensers and sealed refill bottles help improve hygiene. Place the waste bin as close to the sink as possible to avoid paper towel waste, and reduce dripping hands which can create a safety issue on the floor. Also place a waste bin close to the door, so paper towels can be used to open the door to minimize contamination after washing. If commercial composting is available in your area, consider placing a small landfill bin and a larger bin that is clearly marked for compostable paper towel collection only. To enhance the hygienic experience, place a toilet seat cover dispenser strategically close to the toilet and in line of sight for visitors. A simple gesture to make visitors feel more comfortable and improve hygiene is to place a facial tissue box in the restroom. Begin cleaning by focusing on less dirty surfaces and end with cleaning the toilets and the floor. Use more than one wiper to clean – preferably in a variation of colors so it becomes easy to designate different wipers for different areas within the washroom. Otherwise you are likely to be spreading germs around rather than cleaning. Mops and sponges rapidly become soiled and harbor large numbers of microorganisms – consider disposable solutions or change often and launder properly. Consider how details can have a positive impact on the impression for visitors, for example by using non-toxic air fresheners or paying extra attention to the visual appearance of shiny surfaces like mirrors and handles. Small, high-traffic areas with big impact on wellbeing. Breakrooms are often busy places with lots of people throughout the day. Help improve hygiene by placing a hand sanitizer in this area. Place bins strategically, close by the sink and/or on the way out the door. If composting is available in your area, this is a great place to implement sorting organic food waste with compostable napkins and paper towels to reduce amounts of waste going to landfill. 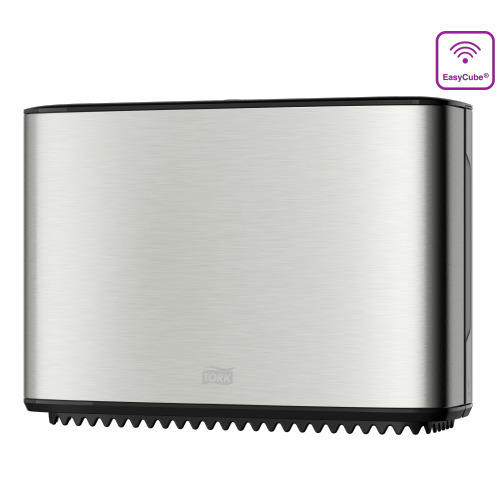 Offer paper towels with touch free, hygienic dispensing solutions close by the sink for drying hands as well as wiping up counter spills. This towel saves time and controls consumption by one-at-a-time sheet dispensing. Embossing enhances hand feel and maximum absorbency, allowing fewer towels used per hand dry. 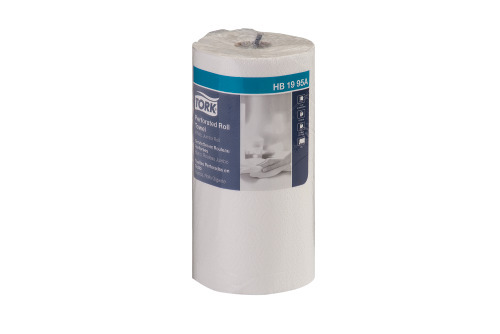 Provides 884 towels/roll for the Tork Matic, 1,050 towels/roll with Intuition 8" setting to meet high capacity needs. Made from 100% recycled fiber, minimum 50% post-consumer fibers - environmental benefits and positive image builder. ECOLOGO® and Green Seal™ Certified, EPA Compliant, and Compostable Verified by Independent Verification for reduced environmental impact. Consider wiping solutions to enable swift cleaning and sanitizing of tables and other surfaces that will tackle heavy traffic and food debris throughout the day. Place napkin dispensers on the tables that allow only the napkins that are touched to be used, to decrease contamination, while also reducing waste. To further improve hygiene place a facial tissue box in the breakroom. As breakrooms and kitchenettes are areas that often have limited space, but high traffic, choose dispensers with a small footprint but support a high capacity of towel refills. To make cleaning as easy and hygienic as possible, begin by focusing on the least dirty surfaces and end with cleaning the floor. Sanitizers do not work well on dirty or oily surfaces – they need to be cleaned first. Use hot water with safe and sustainable professional cleansers on greasy surfaces. Quite often it’s unclear who’s responsible for keeping breakrooms clean. Clarifying this will have a positive impact, and the best result is often achieved if cleaners have the main responsibility, with employees feeling a responsibility to keep it fresh and tidy while they are using it. 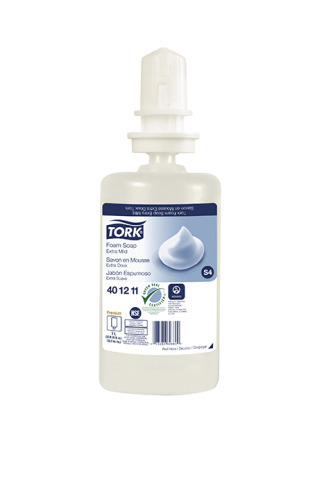 For more tips on improving office health and hygiene, visitor, employee and tentant satisfaction, and green cleaning procedures, click below to download our Tork Cleaning for Health Checklist.